Freeflow 4 metre Half Round Gutter – White. The Freeflow half round gutter system includes a traditional half round style gutter with a complete range of matching fittings to ensure a water-tight professional installation. The gutter is 112mm wide, 52mm deep and 4m long. All half round gutter system parts are available in white, black and brown. 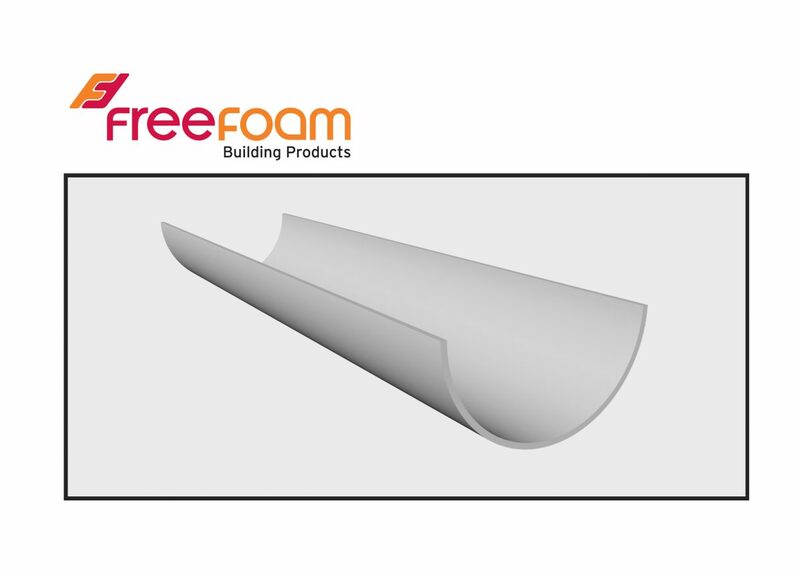 ACCESSORIES-Freeflow Round 90′ Gutter Angle. ACCESSORIES-Freeflow Round Stopend – Internal. Freeflow 4 metre Half Round Gutter – Black. ACCESSORIES-Freeflow Round Stopend – External.